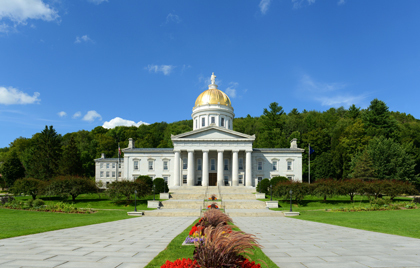 On May 3, 2016, the Governor of the State of Vermont signed H-261. This law will restrict employers in the state from asking about criminal history. This will go into effect on July 1, 2017. (a)Except as provided in subsection (b) of this section, an employer shall not request criminal history information on its initial employment application form. An employer may inquire about a prospective employee’s criminal history during an interview or once the prospective employee has been deemed otherwise qualified for the position. (B) the questions on the application form are limited to the types of criminal offenses creating the disqualification or obligation. (2) An employer shall be permitted to inquire about criminal convictions on an initial employee application form pursuant to subdivision (1) of this subsection even if the federal or State law or regulation creating an obligation for the employer or its affiliate not to employ an individual who has been convicted of one or more types of criminal offenses also permits the employer or its affiliate to obtain a waiver that would allow the employer or its affiliate to employ such an individual. (c) If an employer inquires about a prospective employee’s criminal history record information, the prospective employee, if still eligible for the position under applicable federal or State law, must be afforded an opportunity to explain the information and the circumstances regarding any convictions, including post-conviction rehabilitation.